the Hey0 mod and Cuboid plugin. 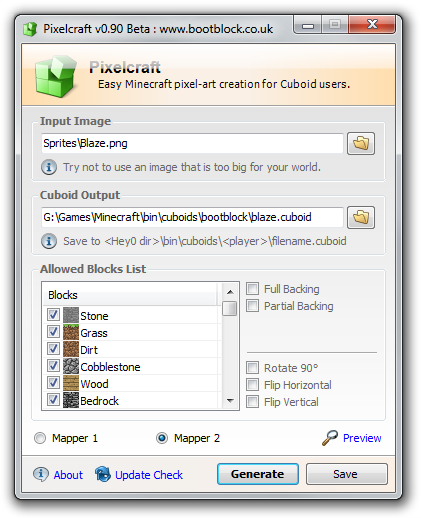 in the input image to the most appropriate Minecraft block. Planetsofts.com didn't scan Pixelcraft for viruses adware, spyware, or other badware. For safety reasons, we recommend that you always keep an updated antivirus installed on your pc when downloading and installing software from the web.